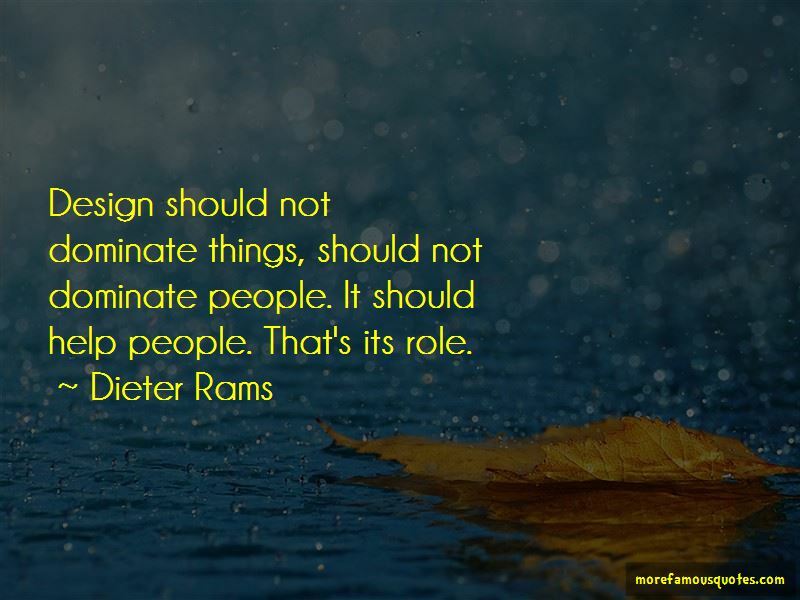 Enjoy the top 34 famous quotes, sayings and quotations by Dieter Rams. I sit, I think, I make some drawings. As a designer, you cannot retire totally. As designers, we have a great responsibility. My heart belongs to the details. I actually always found them to be more important than the big picture. Nothing works without details. They are everything, the baseline of quality. 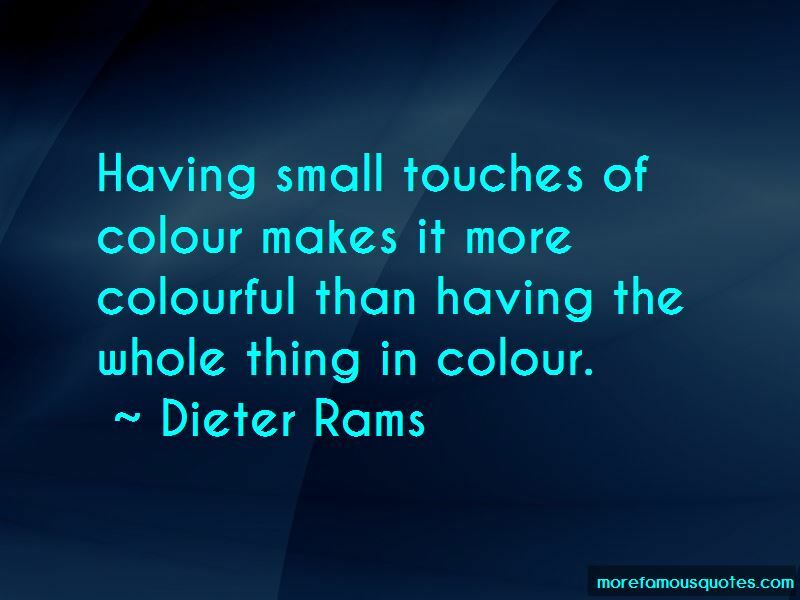 One of the most significant design principles is to omit the unimportant in order to emphasize the important. 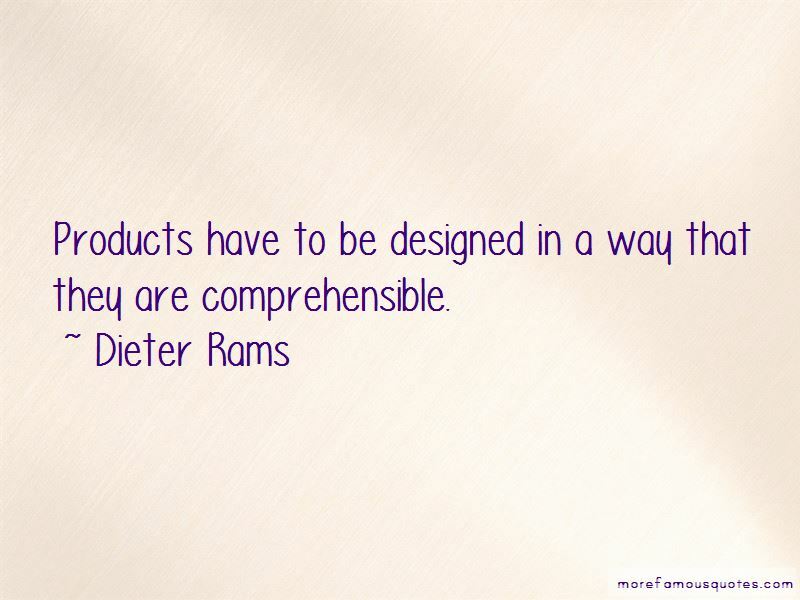 Want to see more pictures of Dieter Rams quotes? 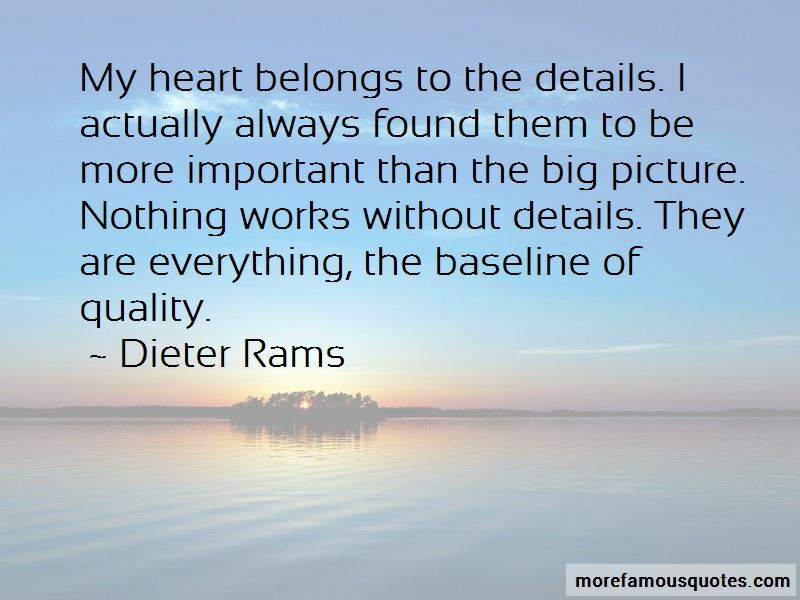 Click on image of Dieter Rams quotes to view full size.